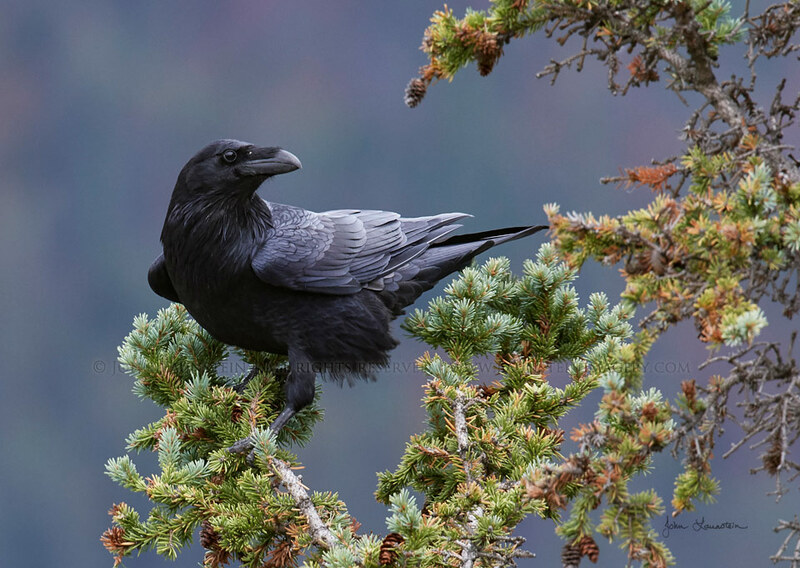 The “Common” Raven has held the imagination and respect of people all over the world for generations. John spent years working to create an image that captured something of the spirit and regal character of this powerful bird. Then one day while he was photographing a different raven perched in a nearby tree, this striking raven landed and allowed John to craft an image worthy of this special bird with so much legend, lore and cultural significance.